If you want to stay traditional with the soft pinks for girls or pastel shades of blue for boys then our new baby flowers selection is a nice mixture of both. Alternatively we have something for the mum and dad with something alittle brigher. Our new baby flowers are a assortment of hand delivered and postal flowers. 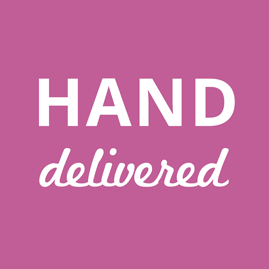 If you want something more personal then our hand delivered bouquets will certainly deliver the WOW factor. After something a bit more simple then our next day flowers are ready to be delivered across the UK for FREE. With our simple and easy checkout the process is fast and hassle free. Let us do the hard work with organizing your next flower delivery. Next day flowers are a nice and fuss free, but out hand delivered, same day flowers, will deliver a geniune surprise. Once the bouquet has been delivered all the new parents will have to do is enjoy them as they bloom, whilst taking care of the new baby of course. Add in a vase to save the new babies parents hunting around for a vase, let be honest they will have there hands full with the little one. Online flower delivery made simple.